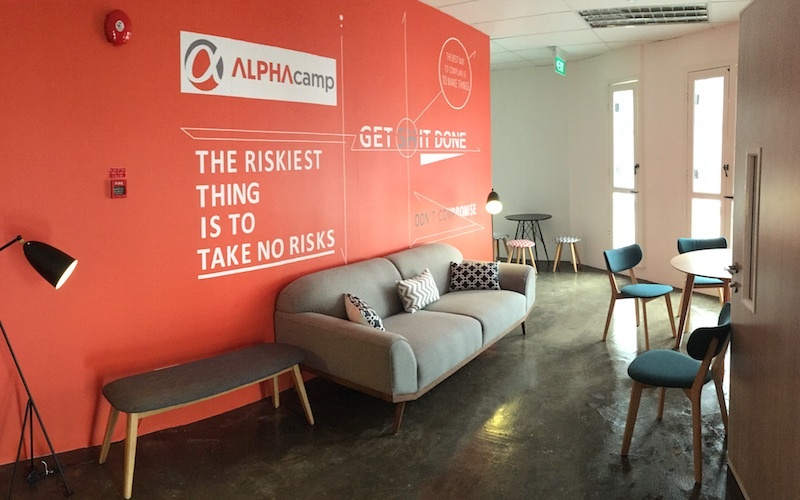 When Bernard started ALPHA Camp in 2014, he knew it was going to be a challenge to build a business that can really empower people for the future of work through lifelong learning. Students from different backgrounds would come into an in class, immersive, full-time commitment. They were here 5 days a week, at least 8 hours a day, all to learn web development. We elected to go with a more traditional classroom training model – something that the public is more familiar with, and also because Bernard enjoys interacting with the students himself. He envisioned a place in which students would make friends, have fun, and learn together. 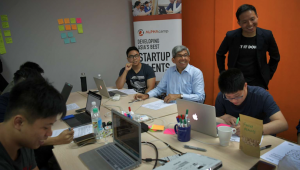 We were able to gain early support from the Singapore Government, educational institutions, and corporates. We’ve had traders, financial analysts, zookeepers, civil engineers, pharmacists come to us looking for change. We helped them launch into new careers that are in high demand, pay well, and intellectually fulfilling. At the same time, we also had a lot of students who wanted to upgrade their skills for their current jobs. This included product managers at software companies, entrepreneurs who were hiring and working with engineers and developers, and even designers. We also received up to S$6,940 in subsidies per student from the Singapore Government. So things were good, right? We realised in order to achieve our mission to prepare people for the future of work, we needed to think beyond students who are looking for an immediate career change. We believe everyone can benefit from technical knowledge and skills. Marketers can do better if they understand how their websites are actually built. Managers and entrepreneurs can make better business decisions by understanding what is possible and what isn’t with technology. Most importantly, different people just learn at different paces. While we pride ourselves in teaching our students digital skills and mindsets, we were following the same structure in traditional education – forcing students with different aptitudes, motivation levels, and goals to go through the same fixed time programme and expect the same outcome. Our classroom-based bootcamps were too rigid to deliver consistent learning outcomes. So we decided to take our content online. By going online, we can reach more students from different backgrounds. But it wasn’t as simple digitizing our sought-after curriculum and putting it on a website. To ensure that we can deliver an even better learning experience, we built our learning platform from the ground up, focusing on 4 principles that we believe are key to learning. We now have broken our full course into four different modules, starting at Beginner and ending at Career. 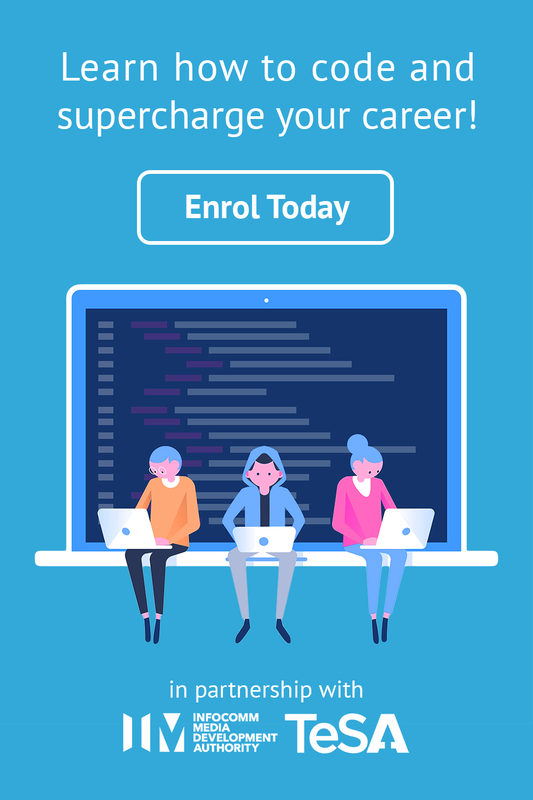 If you’re not looking for a full blown career switch, you don’t need to really learn the professional development modules, and we won’t force you to pay for it. We also noticed that the subsequent learning experience is really bad if you don’t actually master the foundational concepts – frankly that’s where traditional education fails. It’s like taking really advanced math and physics before you’ve mastered basic algebra. It’s painful and demotivating. So we have assessments at the end of each module so we know that students are really ready before they move to the next module. We use videos, images and text to deliver our content. This allows us to better measure students’ content consumption and gain insights into their progress. Are people replaying or abandoning the videos? What pace are they going at? We are also building technology in which students can ask questions at a very specific point of the content. This type of real-time and highly specific feedback gives us a substantial advantage from a student experience perspective. We when they don’t understand and can better diagnose why. We have built a mini social network within our learning platform. This serves two purposes – First, learning with others is just more fun and motivating. Second, different people learn differently; they may need different analogies and explanations when learning the same concept, but we can’t just create a billion different analogies. We noticed in class, students would help each other and say things like “What about if you look at it this way?” This peer learning gives us material to work with as we revise content, while letting students help each other. We believe that in person interactions help students stay motivated and build community, but we don’t think you need it every single day for 3 months. We have a kickoff party for each batch to meet instructors and fellow students. We have workshops and company visits, as well as corporate partnerships for advanced students. 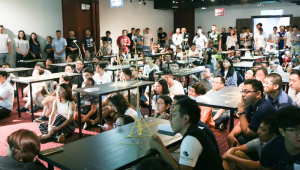 In Taiwan, we took our students to Honestbee and Google – allowing them to connect with the community as well as with their fellow classmates. We fundamentally believe in our mission – developing a new way to close the gap for the future of work. We see ourselves as the leader in professional training and helping people develop highly relevant and in demand skills. What’s missing currently is a community in Asia. You can take a course from Udacity/Coursera sitting in Indonesia or Singapore, but the context, the community, the job opportunities, and the mentors are not locally relevant. As such, it is hard to achieve desired outcomes from “traditional online courses”. We believe that’s where AC can make an impact. We want to be that link. Starting from web development, then covering things like blockchain or Artificial Intelligence. We want to be that trusted partner for people looking for change. Want to be a part of ALPHA Camp’s new program? Join the upcoming cohort of our Online Web Development Programme starting soon.